When Sensebellum was contacted by The Music Producers Club at Western to make a Halloween themed concert poster, we wanted to approach the poster creation process with a smashingly fresh perspective. 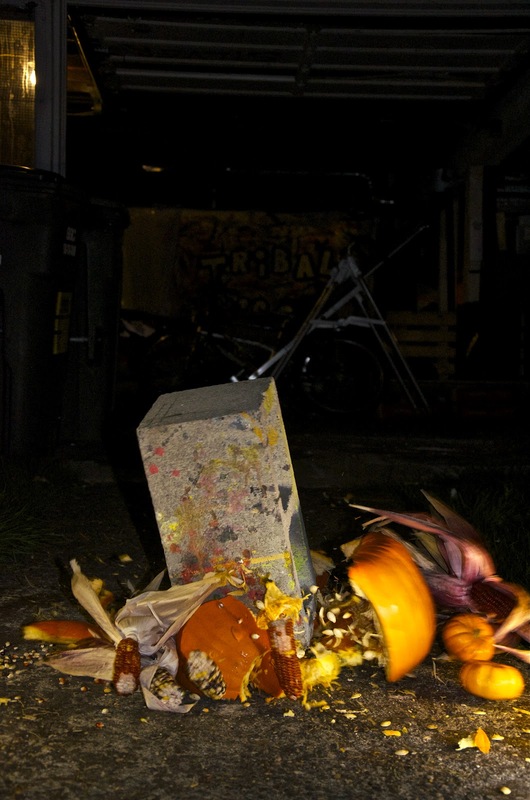 This was of course to create a scene and photograph the destruction of pumpkins for a one-of-a-kind poster - breaking the norm of purely digital promotion. Ironically, the image of the cinder block about to smash the pumpkin was chosen as the final image. This was due to its freeze frame/anticipatory qualities. 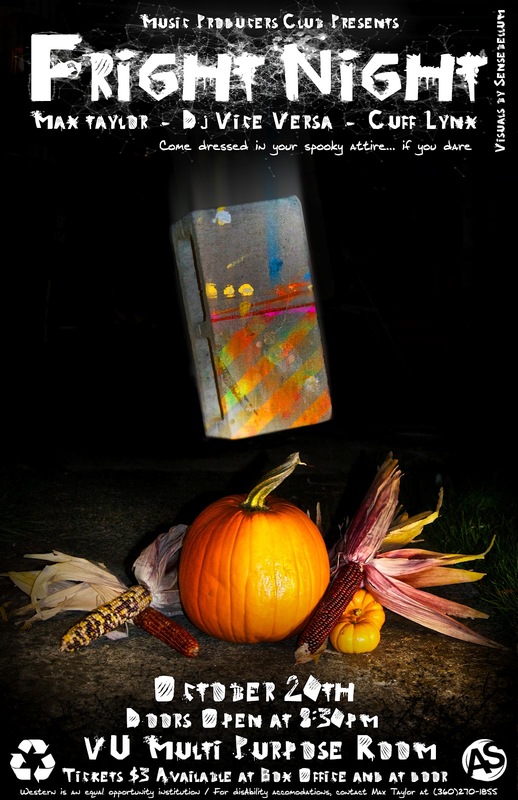 Just like the poster, the party doesn't start until the brick hits the floor on October 20th, Fright Night - be there! Make sure to check out the great pictures of smashes, crashes, and outtakes from the shoot below! Also, a big thanks to Katy Bentz, Tate, Cameron, Jakob, Josh, John, Elliot, Max, and all the others who helped out!